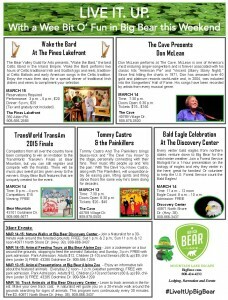 This weekend promises to have beautiful weather and Mr. American Pie, Don McLean performs at The Cave. Heading to Big Bear this weekend? Music is a-plenty this weekend and as you drive up to our alpine mountain retreat, you will feel the city life start to melt away.